My SVR-HDT 1000 has had numerous problems, probably due to the problem OTA updates. Now, it will start up, it scans all programmes then when it gets to save it freezes at 2 per cent. I have downloaded the latest software but can't get to the system menu to install it. I have been trying for a couple of months now after unplugging it for a few days and have tried the reset button on numerous occasions. To say this is annoying is an understatement. The sony helpline has been particularly unhelpful saying I can send it to them and I will have to pay for any repairs!! I have now bought the Humax You View box which has been excellent. It just galls me that I spent over £300 to buy the Sony and it is now a very expensive box. Needless to say it is out of warranty. I have always bought Sony products in the past but no longer. Samsung is the way forward.... Does anyone have any suggestions as to how this Sony can be restarted????? All problems on this page have been submitted and answered by users. 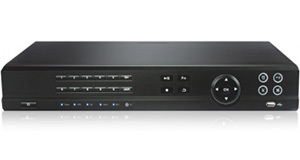 If you have a problem with the Sony SVR-HDT1000 DVB-T2 Twin Tuner 1TB , please submit it below and we'll post it here. Problem: My SVR-HDT 1000 has had numerous problems, probably due to the problem OTA updates. Now, it will start up, it scans all programmes then when it gets to save it freezes at 2 per cent. I have downloaded the latest software but can't get to the system menu to install it. I have been trying for a couple of months now after unplugging it for a few days and have tried the reset button on numerous occasions. To say this is annoying is an understatement. The sony helpline has been particularly unhelpful saying I can send it to them and I will have to pay for any repairs!! I have now bought the Humax You View box which has been excellent. It just galls me that I spent over £300 to buy the Sony and it is now a very expensive box. Needless to say it is out of warranty. I have always bought Sony products in the past but no longer. Samsung is the way forward.... Does anyone have any suggestions as to how this Sony can be restarted???? ?